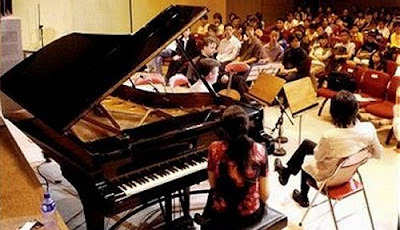 AfriClassical reports that in a last minute change African American conductor James DePreist, who is director of conducting and orchestral studies at the Juilliard School and nephew of Marian Anderson, will not, as previously announced, be leading the Juilliard Orchestra in their imminent tour of China which takes in Beijing and Shanghai. Instead the concerts will be led by Chinese conductor Xian Zhang. More music behind the great firewall of China here.